Tina Hessell is a highly respected Hair & Make Up Artist, who’s experience in television, editorial & fashion spans over 15 years. 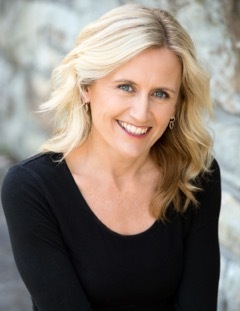 Tina works regularly on major TVC and Online projects with many of Sydney’s top Advertising Agencies, Production companies and direct clients. Tina is also part of SBS, TVSN and Network 10’s freelance Hair and Makeup teams, working on various programs including Insight, Pop Asia, World News, NITV News, Awaken, Living Black, Room 101, The Full Brazilian, Dateline, 10 Early News, Wake Up, Studio 10 and The Project. Over the years Tina has also been a valued member of the TV Week Logies team, providing Hair and Makeup to the editorial staff prior to media engagements, and to the award winners during the event. Tina thoroughly loves the industry and the work she does, and is unflappable, even under the most stressful conditions. Her sense of humour coupled with her professionalism; make her a great asset to the client, cast and crew. I have worked with Tina on a number of different shoots and she is always a joy to work with. She’s always very accomodating to the specific requirements of the shoot and provides great guidance too. Tina was great to work with. Very easy to get along with and professional….and a great make-up artist. I would definitely recommend her! Tina was a pleasure to work with. She was happy to create several looks and able to easily adapt to the adverse weather conditions during our outdoor shoot. Would highly recommend Tina and would love to work with her again!